Who knew I’d grow deeper with God through ice cream? Wanting to make sure my words are helpful and true, I’ve felt the need to do plenty of “research” over the past few months. So, a couple of times a week I have forced myself to dig deeper into these thoughts through first-hand (to mouth) experience at my favorite ice cream joint—Bedford Farms. 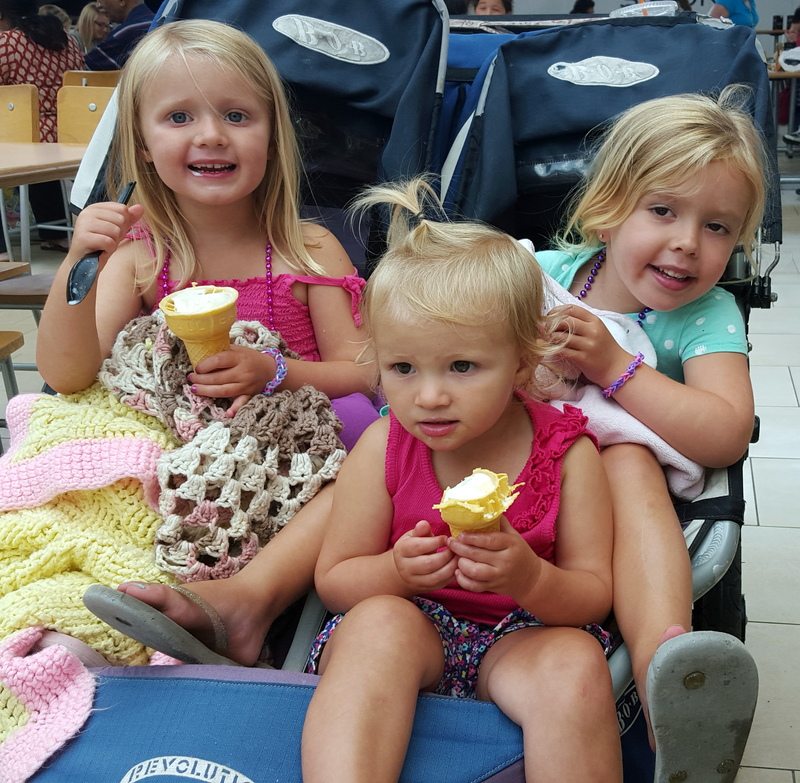 Any time is right for ice cream. There is no “right time” to get ice cream. It enriches any time of day, in my opinion. Yes, I’m a firm believer in eating healthy, but life needs ice-cream. I’ve had it for dessert and I’ll confess—also for dinner. Either way, any time… it’s good. Often we are tempted to designate certain appropriate times as the times to grow with God. While these times do need to be set aside (such as devoted times of prayer, time to meet with the church), we can continue to grow with God any time throughout the day and night. Do you desire to pray, to meditate and learn, to read/remember and reflect on God’s word throughout the day in “undesignated” times such as a work break, driving in the car, in a line (queue), or even occasionally instead of dinner? Choose what is best. Bedford Farms offers many choices. Most of them are good options. However, I’ve settled on the one I believe is best and it makes life easier. My decision has been made before I get to the window. (“I’ll have a kid’s cone of coffee heath bar yogurt, please”)There are few occasions I will vary from my first choice, and they are carefully considered and weighed beforehand. Life is full of choices. Indecision can cause great angst. At times we can become paralyzed from the choices around us. Other times we tend to follow the “shiny, luring, pleasing to the senses” choices which may be distracting to our relationship with God at best—and sinful at worst. Take time to consider and weigh your decisions based on how they will affect you and others spiritually? What would Jesus do here? What will help me and my family grow? What will be most helpful to show Jesus in me to others? When you use these types of factors in your decision making—once you get to the place where it’s “time to order” you will know what to choose. Forego the “jimmies”. Don’t get me wrong. Occasional “jimmies” are good. (For those who may be reading this outside of the boundaries of New England, “jimmies” are those little brown chocolate sprinkles that are used to coat ice cream. However, “jimmies”, in my opinion, only distract from the integrity of the taste of my ice cream. Ahhh…where do I begin with the subject of distractions? My point is simple. We can have so many “accessories” to our lives that we never actually get around to consistently opening the Bible and letting God speak to us, and then pouring out our hearts to him. We (and by “we” I mean “I”) can even become so distracted with tasks as we spend time with other Christians, that we fail to connect and truly know each other in a deep and honest way. Do you have several people in your life who know the real you, and together you help each other grow closer to God? Does your life reflect Jesus to others, or does it merely reflect activity? Find an appropriate setting. 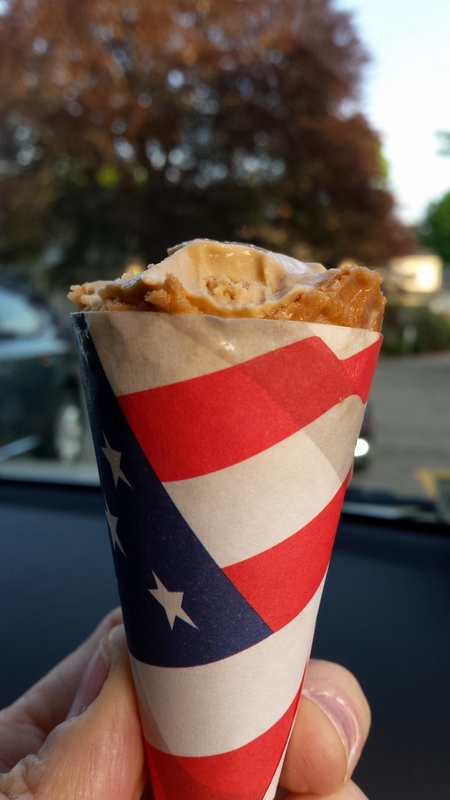 I don’t want to eat my cone in a rush—or while distracted with a phone conversation or any conversational topic other than how good the ice cream tastes. I want to be able to focus on the “task at/in hand”. Otherwise, my ice cream is suddenly gone and I’ve missed the joy of it all. Finding as undistracted a time and setting as possible with which to spend some special time with God makes a difference. Do you miss the joy and pleasure of being in the presence of God because distractions are all around? Try spending time without electronics in the background, outside, early in the morning or late at night…or if you wake up in the middle of the night. Settle your heart with song or meditation as you spend some undistracted, special time with God. The “Stillness of the Lick” is sort of sacred. 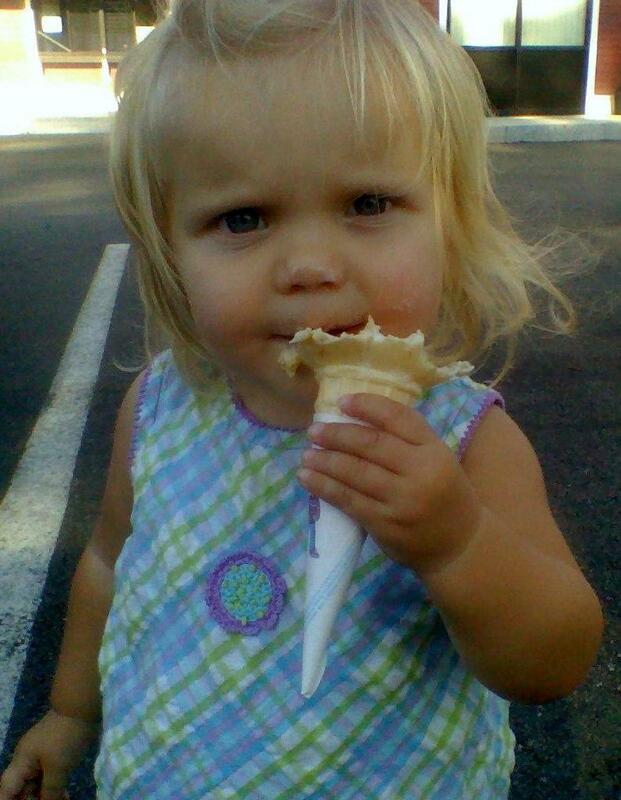 Call me crazy, but there is something soothing and relaxing about licking an ice cream cone. That’s why I will never order a cup—only a cone will do. There seems almost an artistic and poetic plot to the process of licking an ice cream (or frozen yogurt) cone—catching the drips and making sure the licks on one side don’t mismatch with the other side, all the while twirling and twisting the cone with the appropriate rhythm. The combination of taste, touch, sight and sound adds to the entire “sacred” experience and relationship to my cone. Ok, I’m feeling vulnerable. Am I the only one who feels this way? I’ve had to learn and grow in my walk with God to truly understand that spending special time with him is not only a time I need, but one we both desire. That is crazy amazing, that God wants to spend time with me! Without this understanding, time with him can simply be a “good task that needs to be done”—sort of like the difference between having dinner with a trusted, deeply loving and loved friend (who also happens to be the creator of the universe) and in exercising and getting homework done. While at times for times with God I need the same kind of self-discipline needed to exercise consistently— it’s when I am truly aware of my connection with my Father who loves me that I feel full of peace and joy. The paper will meet the cone. This is the moment where I see that there is no longer a mound of ice cream to lick and the remainder is hidden in the cone. At this point, with the cones I use, I must peel back the paper that lines the cone. When it’s time to peel paper, I know that this wonderful experience will be “gone too soon” and I begin to feel a little sad. However, the serendipity is that this is the point where all flavors and textures combine. It’s the best part of all. I am reminded that if I don’t live each stage of life to the fullest—with gratitude for what it brings, I will think too much about what has been or when it will all be over. Neither of these viewpoints are productive, but they do keep me coming back for more. The ice cream cone ends at some point (pun intended), yet I’m so very grateful that God’s love is new every morning, and the best is yet to come. This entry was posted in devotional thoughts, Uncategorized and tagged distractions, prayer, spiritual focus by jeanieshaw. Bookmark the permalink. This brought back many spiritual thoughts I have not thought about for a very, very long time…maybe some I have not had since I was a babe in Christ. Amazed about how your insight brought about an awareness in me that encourages me to appreciate the little things in life more, in a non judgemental way. I thought I was appreciating important relationships, being in the moment, but realizing now I was really distracted with tasks & maybe even in survival mode which causes defensiveness instead of unconditional acceptance. Thanks for your thoughtful words, Tanya. I’m happy this encouraged you. I write the things I need to hear and heed, and glad when others find it helpful. Thanks for sharing.